Hello, and welcome to the Project Phoenix wiki. Project Phoenix is a revision of the Dungeons and Dragons 3.5 rules, designed to fix the broken rules, add new material and incorporate existing content from other OGC sources, like the ELH, Psionics Handbook, and the divine rules, as well as my own custom content, and generally make play more interesting and balanced overall. 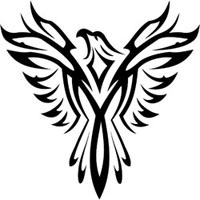 Project Phoenix is a self-contained, Open Source ruleset. You can pull everything off this site and have a complete, workable system, or you can cherry-pick rules and use them in your 3.5 or even 3E game with little or no work. Open Source means that not only is it Open Game Content, but the underlying mechanics of the system are exposed so that it can be more easily modified by those who have the inclination to do so. I've written a series of Design Diary entries, along with a Discussions section explaining all the work I have been (and am) doing, which covers the justifications and decisions I've made. I'm open to comments, criticisms, and playtest reports - I want to keep this project evolving and growing, and it can't do so without people using it. Project Phoenix is intended to combine and streamline all the rules - core and epic - into a coherent whole. 3.5 has a feel of "design by committee", where some rules appear multiple times (sometimes in the same book), and sometimes contradict each other. With one person doing all the rules, it ensures a more unified view of the ruleset. Also, a lot of similar systems have been combined - the social skills use the same rules; animal companions, familiars, and paladin mounts use the same rules; magic items can be made using the Craft skill (and use the Craft system); etc. All of the epic rules have been seamlessly incorporated into the core; there are still be "epic levels" (now called "legendary"), but the transition between pre-20th level and post-20th is be less noticeable - a gradual change instead of, "Oh hey, I'm epic now!". Why "Project Phoenix"? It was the first thing that popped into my head when I started thinking about names, and I liked it, so it stuck. Besides, having a name makes it more official (or at least makes it seem like I know what I'm doing). Calling it "D&D 3.75" gives people preconceptions - they expect it to look and feel like D&D; calling it by a completely different name allows me to avoid the preconceptions and expectations and make the changes necessary for it to be a workable ruleset. And yes, I'm well aware that "Project Phoenix" was the name of a CIA-run anti-insurgency campaign during the Vietnam War. My choice of names was an unfortunate coincidence. Is it compatible with 3.5? Of course. The changes are more pervasive and deeper than, say, Pathfinder, but not nearly as much as 4E - it's still recognizably 3.5. All the classes are still there, most of the PrCs are still there, the spells, the monsters (except the PI material), magic items… it's just that the way some things work got changed. What's changed? You can find a summary of the changes here. Will it get published? Getting paid for all my work would be nice, but it's a big pain trying to find artists, editors, and a publisher, not to mention getting people to buy three complete books worth of stuff. I much prefer to just write stuff and share it with anyone who wants to use it. Maybe if it takes off I'll see about getting it published, but for right now, I'm content to make it available to anyone who wants it. I'm a big supporter of the Open Game Movement, so all of Project Phoenix is now and will forever be OGC and available for free. What about that phoenix pic? I found the phoenix on a public domain clipart site. What are you working on now? Since Project Phoenix is more or less "complete" (inasmuch as any game system can be referred to as such), I'm just working on new stuff for the most part. What if I want to leave you a message or comments? You can check the Contact page for my e-mail, or drop me a line on the forums. No registration is necessary - I deliberately set it up so you can just go in and post a message. Is there a compilation of all the files available? Yes there is. You can find a compilation in HTML format here. Declaration of Open Game Content: Unless otherwise noted, all material on this site is Open Game Content. 4 Feb: Uploaded the newest version of the HTML compilation. I make changes to those files at the same time that I update the site, but I kept forgetting to upload the revised compilation. Sorry about that. 28 Feb: made a few corrections to the ranger. 22 Feb: Added the Artifacts. They now have some rough guidelines for power level, and I made some tweaks to the DMG/ELH artifacts (and added one of my own).